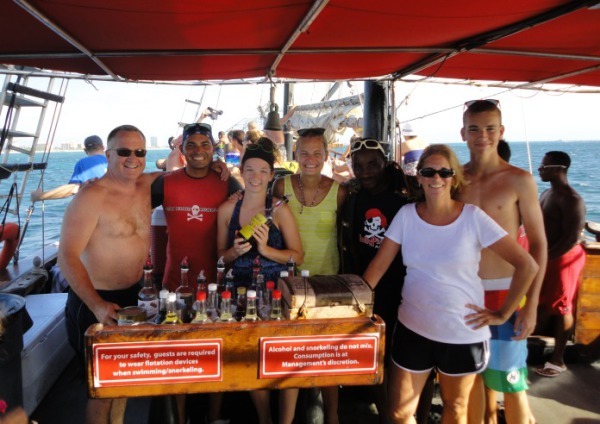 You are never too old or too young to learn what makes Jolly Pirates Cruises so special! Arrrrggg!! Sailing Aruba along the coastline, to a nice spot where you can swim, swing and view Aruban species of fish while snorkeling! 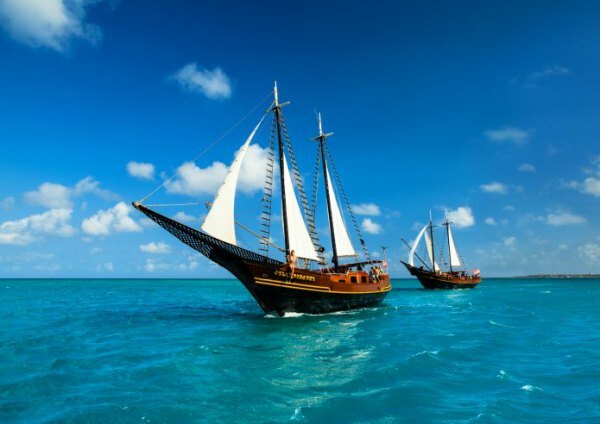 And when we sail all ye Scallywags back at sunset, you will know why people keep returning to Aruba every year!! 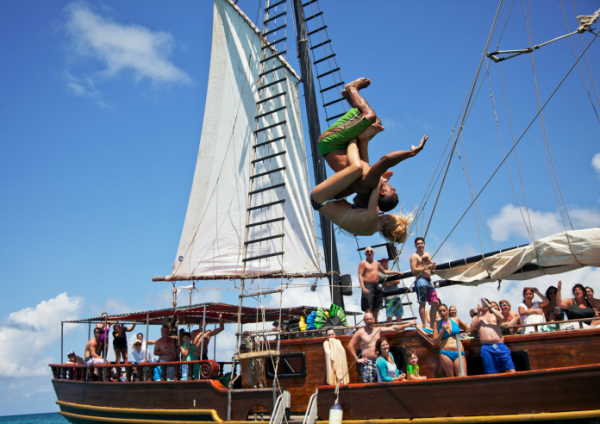 Sail, Swim and Snorkel at 3 great sites: Malmok, Boca Catalina and WWII shipwreck, ANTILLA! BBQ, Open Bar, Gear & Ropeswing! 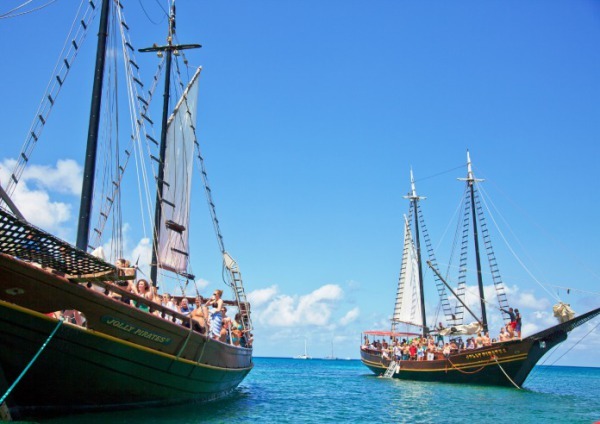 This is one of the most requested tours of all the Aruba Excursions. Shorter version of our Sail, Snorkel, Swim and Swing! Same three sites with Gear, Open Bar and Ropeswing! 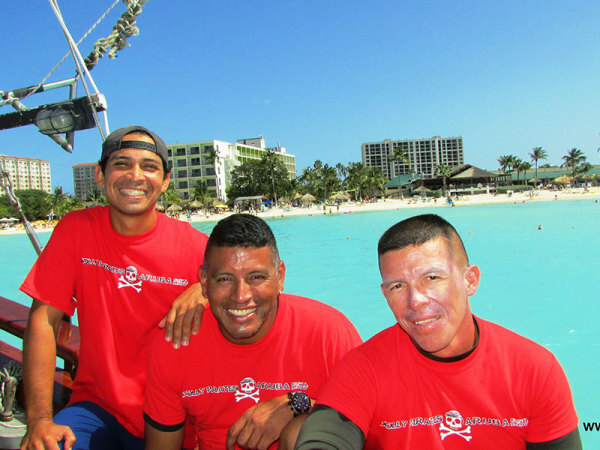 One of our best Aruba Excursions! Enjoy sipping a cocktail from the Open Bar, while sailing Aruba waters, as the sun sets into a pink kaleidoscope sky across Aruba. 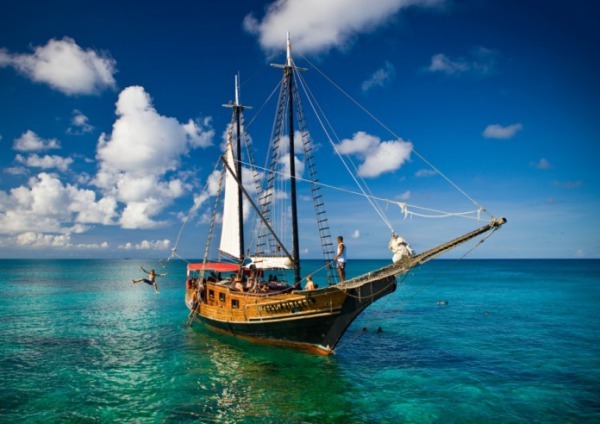 The Best Sunset Sail in Aruba includes Open Bar and Rope swing.